If you are ever craving something sweet, downtown Milledgeville has everything you need to satisfy your sweet tooth. With Ryals Bakery, SweeTreats, Chilly Milly and Doodles Cupcakes Bakery, you are sure to find what you are looking for. Visit Milledgeville’s oldest bakery for the most delicious doughnuts, cakes, cookies, cupcakes, pies, and petit fours. 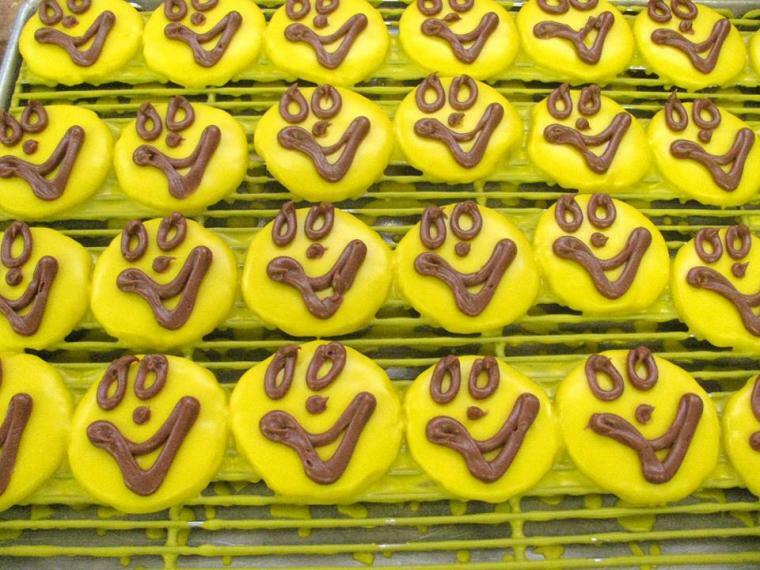 If you ask any Milledgeville local, they will tell you to ask for their smiley face cookies, a sugar cookie with bright yellow frosting and a cute smiley face. 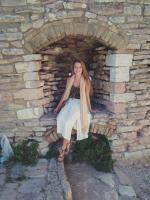 Owned by Maggie Ryals and her husband, Ryals Bakery is a spot that you can’t miss. They have been open since 1971, and most people you meet in this small town will rave about Ryal’s Bakery. With fresh baked goods every Tuesday and Wednesday, you are sure to have something to smile about. Head over to SweeTreats! SweeTreats opened in March 2015 and has added several menu items over time. 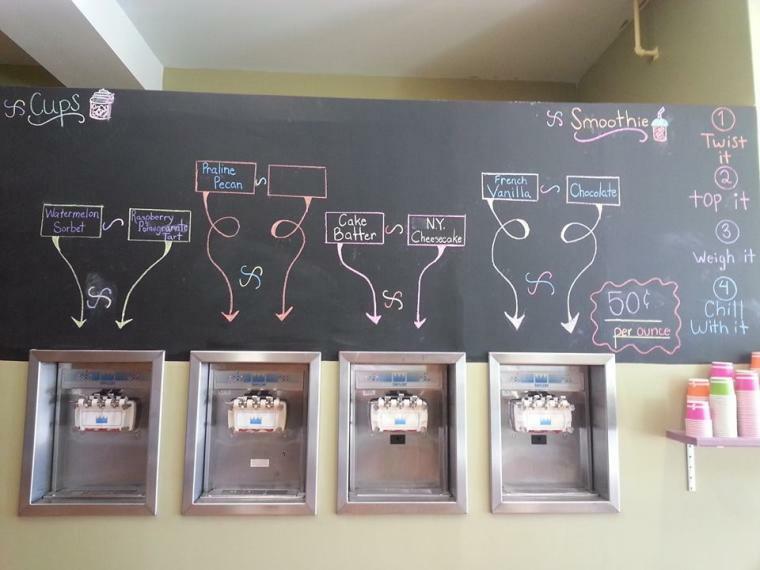 SweeTreats has everything from custom blended ice cream, smoothies and milkshakes, to root beer floats, frozen lemonade, and Mrs. Terri’s amazing home-made pound cake. According to the owners, their most popular ice cream flavor is strawberry cheesecake, and the most popular cupcake is the traditional pound cake flavor. What are their favorites? The owners say you can never go wrong with the pineapple cupcakes and the coconut macaroons. SweeTreats began when Mrs. Terri had a pound cake business out of her home called “Cakes by the Pound.” She always dreamed of having her own bakery, and when her daughter joined in and added ice cream, SweeTreats was born. Visit Chilly Milly, downtown Milledgeville’s newest shop! Chilly Milly features 8 different flavors of frozen yogurt and over 40 different toppings to choose from. Mix your flavors and get a hybrid of your favorite yogurts, or keep it simple and choose the local favorite, cake batter. Chilly Milly occasionally swaps out flavors, so you can have your seasonal favorites, like Pumpkin Spice in the fall and Strawberry Lemonade in the summer. They also always feature sorbet, so the non-dairy eaters can enjoy a cool summer treat! What does the owner suggest? He loves to sample each of the flavors, a little chocolate, a little vanilla, some dulce de leche, and a dollop of cake batter! Chilly Milly began when the spot next to Local Yolkal Café opened up. The owner of both places thought it was the perfect opportunity to spread the family fun atmosphere of Local Yolkal Café to a colorful yogurt shop. He had seen the success of yogurt shops all over the country, and wanted to spread the joy to Milledgeville. Doodles Cupcake Bakery is a hidden gem in Milledgeville’s Downtown area. 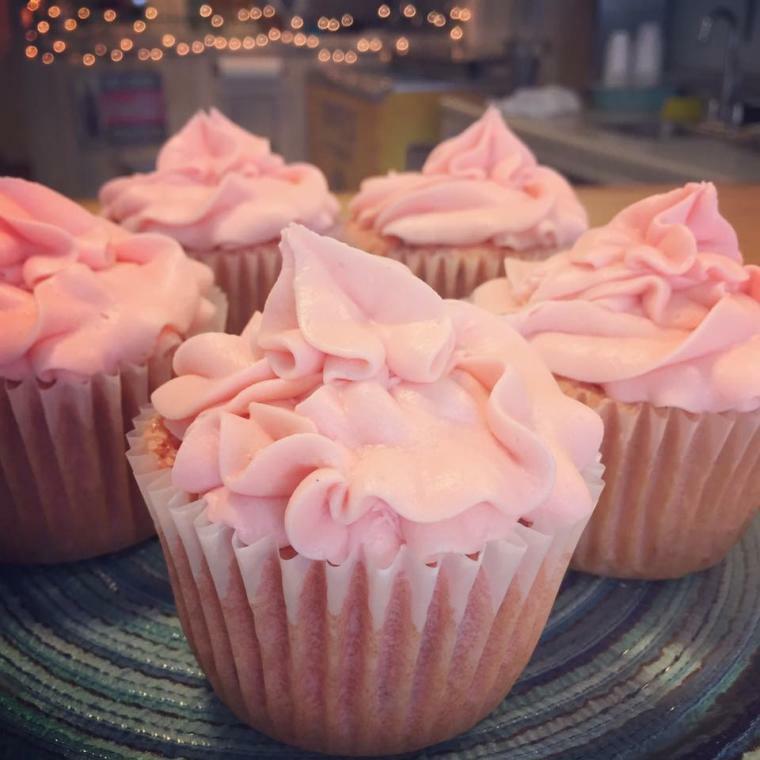 Located in the cutest pink house, Doodles is a beloved Milledgeville bakery that specializes in cupcakes, but also sells specialty cakes, cheese straws, cowboy cookies, caramel brownies, and banana bread. The owner, Keith Grant says her favorite treat to bake is her classic southern pound cake, but the customer’s favorite is the wedding cake cupcakes and the “doodle bites” which are similar to cake pops. Doodles started because of Mrs. Grant’s love of of baking and cooking. She always loved desserts, and when the pink house was available, she thought it was the perfect opportunity and started Doodles. Open on Tuesdays from 12-6pm, Doodles is an awesome place to sit on the porch and share some sweets with a friend! I am sad to see that Doodle’s Cupcake Bakery was left out of your article for downtown sweets. Although I am not in the center of downtown, I do consider my business as downtown. I am located on Jefferson Street behind the post office. I would love to have you drop by for a cupcake or some of our other sweet treats! Yum! Nice post and beautifully delicious pictures. Makes me want to ditch my diet and mostly good eating habits.